Just as beautiful as the real deal, to me, Tracey... mine are just popping through the earth but, oh when they bloom? The best! I agree, tulips and daffodils are sure signs of spring...problem is here in the PNW, after the flowers pop we get wind and rain and they all get beaten down!! this spring we are actually enjoying the blossoms in the yard! So enjoy your "clean style" of cards, Tracey! Love this! beautiful CAS design! Gorgeous! Love those tiny flower sequins! OMG Tracey You're killing me!! All that white space and it still looks perfect! I dont know how you do it!! Love those little flower sequins too! Love how fresh this is...awesome white space and use of color. This is CAS perfection, Tracey! truly stunning,love the perfect placement and all that white space! Clean and simple and absolutely beautiful! Love the sweet little sprig of flowers Tracey! Absolutely fabulous design. I just love that little tulip! Love your tulips, Tracey! Beautiful card! Squee! I absolutely love this Tracey. Those sweet tulips just pop on all that gorgeous white. I love this. One of the best CAS cards ever! Sigh...I just love this. CAS but those flowers speak volumes! Now on another note...you have GOT to come to the convention!!! We would all have so much FUN!!! Beautiful! LOVING the flowers and sequins!!!! Perfectly pretty, Tracey! I've got to get one of those Wink of Stella pens ;). Tulips = Spring. 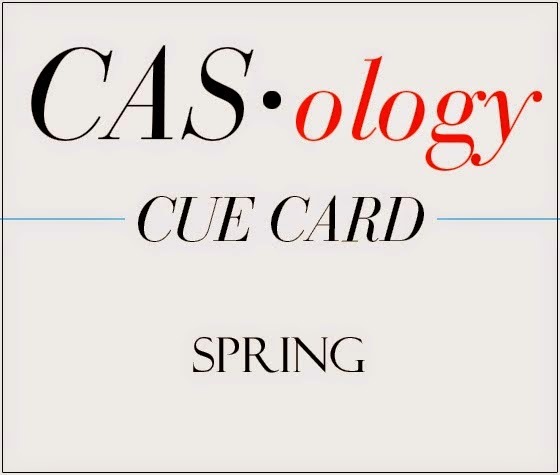 Tracey = beautiful CAS card. Tracey, I adore these tulips -- and the floral sequins! 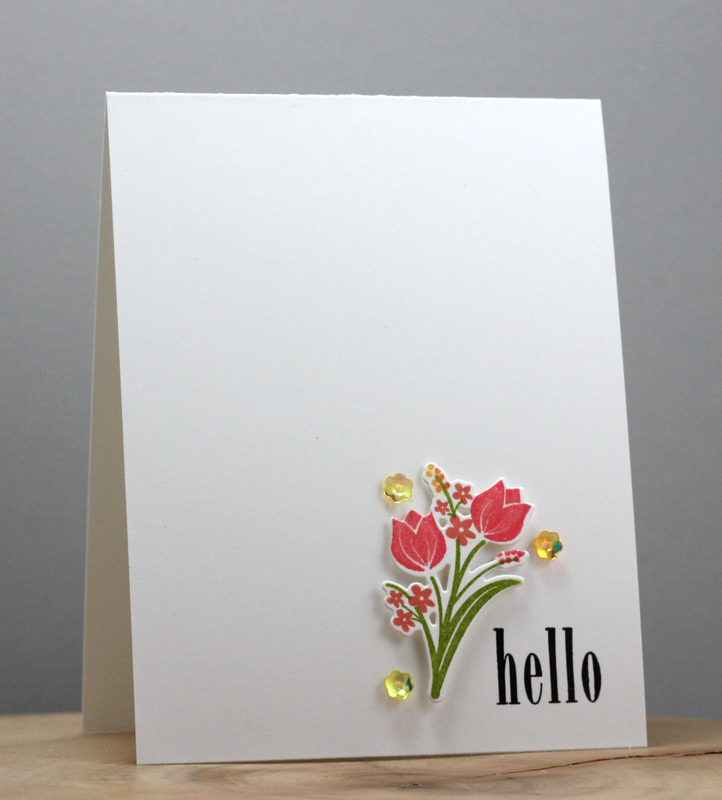 A perfect spring card! Your bitty bouquet of tulips sure has maximum impact! Soooo incredibly pretty! Hey Tracey!! Your tulips are so pretty. I love how you popped them up. Nicely done. Simply beautiful, Tracey! 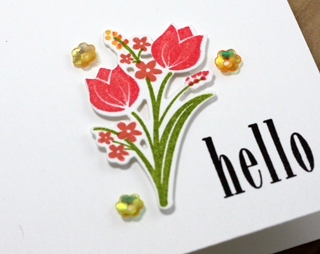 I just love that little cluster of flowers and the clean fonted sentiment goes so well with it!! !